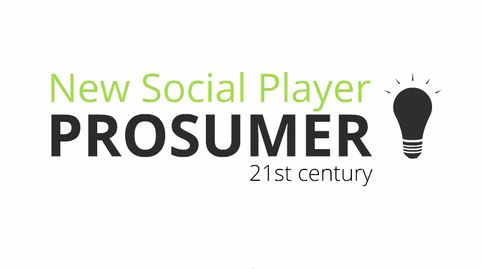 Are you listening to your prosumer? Whether your brand operates on a Business-to-Business (B2B), Business-to-Consumer (B2C) or especially a Consumer-to-Consumer (C2C) space, chances are that your last new customer happened because of a referral. A prosumer. Prosumers are that special breed of people so happy with your brand that they recommend your brand to others, without any financial incentive. In category after category, asked the simple question, after purchase “How did you get to know about this brand?” the top rank goes to “Friends, Relatives or Business Associates”. Think about it. How did you first get to know about Google or Facebook or Twitter or the restaurant you last went to, or the book you last read, or the brand of toothpaste you used this morning or the computer or hand-held device you are using now? Chances are Word-of-Mouth had a role to play. The consumer as the medium. In a word, the Prosumer. For your brand, do you know who they are? Do you have a ‘Prosumer Policy’ that emotionally rewards them, even with a simple thank you? Do you track them, listen to them? Because with today’s technology, you can. Unfortunately, most brand managers haven’t even heard the term. I heard about it first at the turn of this century from Suman Srivastava. He was then at Euro-RSCG. Though Alvin Toffler (thank you, Ian) originally coined the word in the 20th Century, it has taken on a pivotal meaning only now, in a consumer world empowered by technology. When I first heard the term, I was already deeply involved in Word-of-Mouse Marketing. The article I wrote on Word-of-Mouse, circa, 1998, is now woefully out of date. Though it got me a lot of coaching business at the time and still does, it was written before the age of “Social Media”. Who uses a mouse anymore? Prosumer Marketing is now the force to reckon with. Especially because the concept works beyond the Internet. While ‘Net Promoter Score’ is already a concept favored in the west, it’s quite expensive to use. It’s also a figure you don’t get to know in real time. So with a little bit of ingenuity, with a very tech-savvy company I discovered in Bangladesh, called WebAble, we now have an App that can track your ProsumerQuotient. Simply explained, your brand’s ProsumerQuotient is the rate at which your prosumers recommend your brand to others, generation after generation. Thus, if one prosumer recommends your brand to an average three consumers, and they, in turn, become prosumers to recommend it to three more consumers, your brand is said to have a ProsumerQuotient of 3. Naturally you should be looking to create a brand that has a ProsumerQuotient that is higher than 1. You should aim for 2+ or even 5+. Because then your brand goes viral and dramatically reduces your brand’s cost of marketing. With the ProsumerQuotient App not only do you get to know the rate at which your brand is growing, you get informed every time someone becomes a prosumer. The least you can say is thank you!